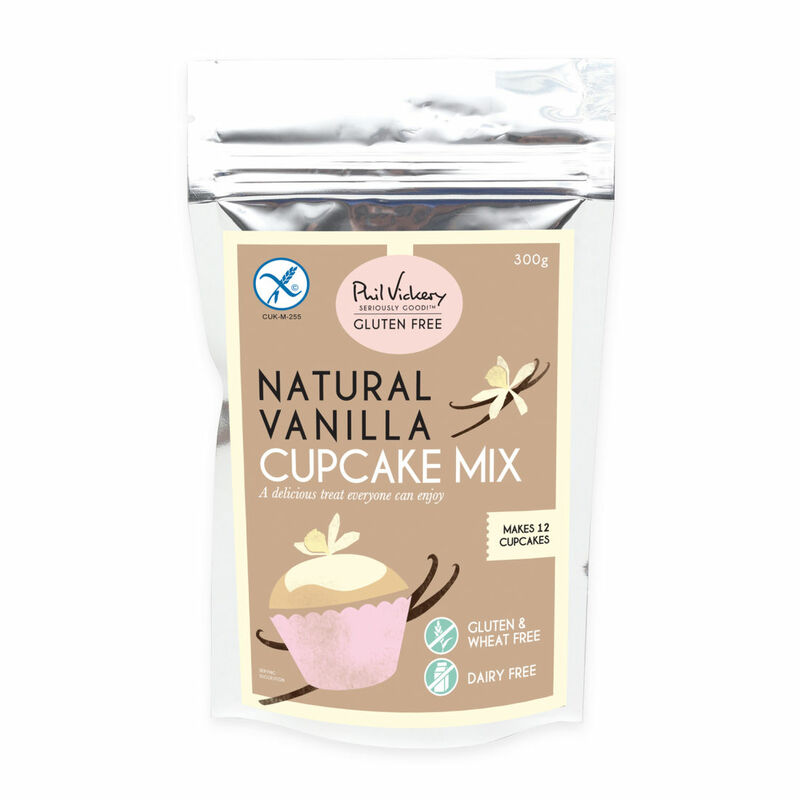 One of Britain’s favourite chefs, Phil Vickery has teamed up with Squires Kitchen to create a natural vanilla gluten-free cupcake mix. Now you can easily bake delicious vanilla cupcakes that are free from gluten, wheat and dairy. The gluten-free Natural Vanilla Cupcake Mix allows you to bake 12 delightfully gluten-free moist vanilla cupcakes or, to make a 20cm round gluten-free cake, pour the cake mixture into an oiled, lined tin at least 4cm deep and bake as per the pack instructions. When cool, top your gluten-free cupcakes or gluten-free cake with fondant icing, dairy-free buttercream or simply dust with icing sugar.